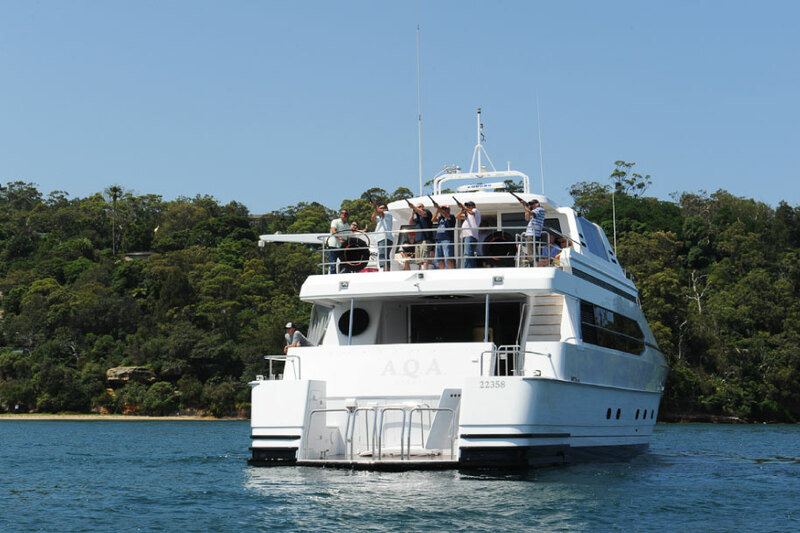 Team building harbour charters are extremely popular and for good reason.Sydney Harbour Luxe Charters has a wide variety of vessels that can accommodate your next team building event, no matter the industry or the size of the group. Our vessels provide sufficient space for groups to break out during your charter that will enable your employees to be involved in a range of team building activities on the day. Our vessels are equipped with all of the AV that you require, from cordless microphones and large LCD’s for your team building presentations and announcements. SHLC provides Team building harbour charters that offer on board activities such as clay pigeon shooting, poker, karaoke and much more. For the more adventurous groups we can offer water activates from your chosen vessel, which include stand up paddle boarding, kayaking or even snorkelling. Explore Sydney Harbour in anyway you desire on board your team building harbour charter. Sydney Harbour Luxe Charters will work with you to create a team-building package based on your requirements. Each company and team is different and at Sydney Harbour Luxe Charters we cater for all.